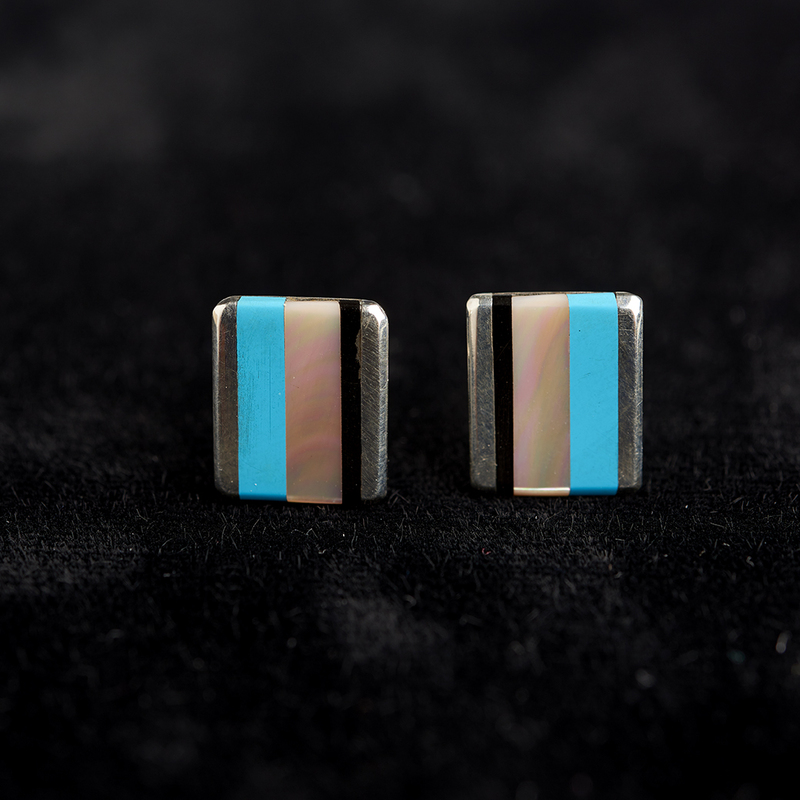 These rectangular inlaid earrings are very attractive. 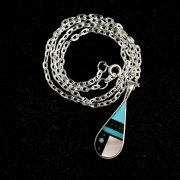 The combination of mother of pearl, black jet, turquoise with the sterling silver borders is great. 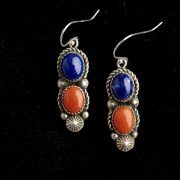 Delicate and soft – a great look.